[PDF] The Rough Guide to Sri Lanka, 3rd edition | Free eBooks Download - EBOOKEE! 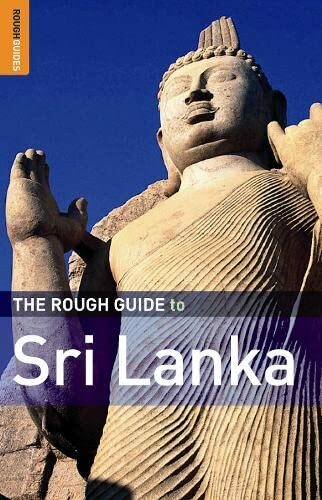 Description: "The Rough Guide to Sri Lanka" is the definitive travel guide with clear maps and detailed coverage of all the best attractions Sri Lanka has to offer. Get the low-down on one of the world's most beautiful islands, with in-depth coverage of Sri Lanka's superb beaches, magnificent wildlife, verdant tea plantations and majestic Buddhist remains. The guide includes practical information on getting there and around, plus reviews of the best Sri Lanka hotels, from serene oceanside Ayurveda retreats to atmospheric colonial-era tea estate bungalows, and Sri Lanka restaurants, bars and Sri Lankan shopping for all budgets. You'll find introductory sections on Sri Lanka food, drink, health, cultural customs and outdoor activities as well as specialist Sri Lanka tour operators and colour inserts on tea, Buddhism and the island's highlights with inspirational colour photography throughout. Rely on expert background on everything from the history of the ancient Buddhist kingdoms through to the contemporary political scene in Sri Lanka and traditional Sri Lankan dance. Explore all corners of this fascinating country with the clearest Sri Lanka maps of any guide. Make the most of your holiday with "The Rough Guide to Sri Lanka". No comments for "[PDF] The Rough Guide to Sri Lanka, 3rd edition".